Zucchini and corn make a delicous combination. Try it with this super easy Mexican recipe that’s perfect as a side dish or as a light main meal. Maíz is Spanish for corn or maize, and it’s the most important crop and ingredient in Mexican cuisine. The foundations of Mexican cuisine are held strong by this valuable crop. Without corn there would be no tortillas, and without tortillas there wouldn’t be tostadas, enchiladas, quesadillas, nor tacos. Lest not forget the warming drinks of atole and champurrado. You get the point, Mexican food revolves around corn. One of my favorite childhood dish uses corn and it’s what I’m sharing with you today. This is called calabacitas con maíz o elote, in English it translates to simply as zucchini with corn. Another name commonly used for this dish is calabacitas a la mexicana or Mexican style zucchini. Growing up my mom served it as a side dish and I loved it so much that I would eat only it and ignore the main dish. The sweet smell of onions caramelizing alongside the earthy scent of corn is unforgettable! The moist and mild zucchini absorbs the flavors of the corn and tomato perfectly. The tomatoes provide extra moisture and a little sweetness to the dish, and the serrano pepper adds just a touch of heat to balance out all of the flavours. The spices are minimal and all of the flavors come from the vegetables. It is fresh, healthy, light-yet hearty enough to be served as a vegan meal. When corn is not in season canned may be used, otherwise if you’d like you can use fresh kernels whenever possible. Zucchini is in season pretty much all year so if you wanted to you could really eat this this all year long. The recipe is vegan but as you’ll see in the video you can top with some crumbled queso fresco if you’d like — you could even drizzle some crema over the zucchini too! Serve as a side dish or you can enjoy it like we recently did and pair it with some black beans and some steamed brown rice. Enjoy the seasonal flavors of zucchini and corn together in this easy to prepare Mexican dish. Heat the oil, once hot add the onion and saute until soft. Add the garlic and cook for a couple of minutes. Next add the chiles and cook another minute, add the tomato and allow to cook until soften.Sprinkle in a little bit of sea salt and stir to combine. Add the corn kernels and mix until well combined. Mix in the zucchini and cook until the zucchini is soft. Mix in the fresh cilantro, remove from the heat and serve. Enjoy as a side dish or as a main meal when paired with boiled beans and rice or any other pairings of your choice. *If you don't have a very large zucchini use two small ones. **Use canned, or frozen kernel or when in season use fresh corn. If served as a side dish this will be enough for 4 servings, if as a main it will be enough for 2 servings. Oh, I love zucchini. This looks awesome! @Paaka Shaale, Yes so simple indeed. But not when it comes to the flavors, that's what is so great about this dish. @Erin, Thank you and glad to hear it! Awww, yay! 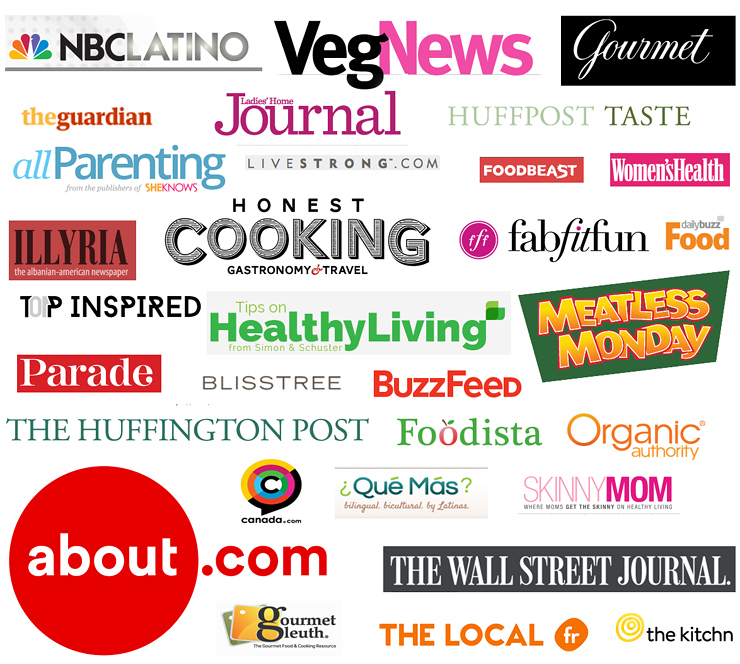 We're friends on Food Buzz now…love that site, so much! This dish looks amazing…I love zuchinni so much…I like just having it steamed with onions…and then seasoned with spices. I actually have a recipe for it on my site. Thanks for sharing yours! @Charissa, Thanks for the add! Oh that sounds good. I'll have to stop by next time I want to make zucchini again. Love the combination with corn, very interesting because I've never tried it before, thank you for sharing! Such a perfect dish for summer so pretty too! Such a great summer dish! just needs some queso fresco and crema San Juan style and perfect just like the one we eate when growin up in mexico!!! I've eaten this all growing up but we put jack cheese in ours. I love it yum! I love zucchini fritters, but this salad looks darn tasty! what a beautiful dish Nancy! Corn is actually in season around here, we are seeing it everywhere in the grocers, I'm not sure what state its coming from but its been sweet and tender! Of course you know my favorite way to serve zucchini is as a blossom! I love these recipe! So simple and healthy, this could be so nice for an outdoors dinner on a cool summer evening…. I studied archaeology in undergrad and one of the turning points in the prehistory of the Americas was the domestication of maize. Incredibly important stuff! Delicious too, especially in this dish. This is so gorgeously colourful and aromatic – sounds incredibly tasty! @Michelle, Yes I bet it would be. @Cooking Rookie, Thank you, and yes perfect for that. @Carolyn, Makes you wonder what if, if maize hadn't been domesticated. Thanks! This is the perfect summer lunch (or dinner or snack!). Gorgeous dish! I can't get enough zucchini right now. It's so refreshing in the summer! Congrats on Top 9 at Foodbuzz – this side dish looks delicious! Easy, simple and healthy! 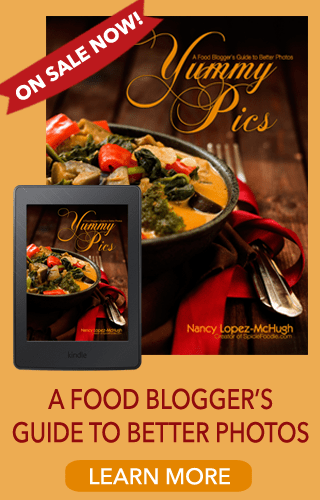 Lovely dish – I learn so much about Mexican food from your blog Nancy. Delicious! Looks amazing! I am saving this for when our zucchini is ready! This looks wonderful…! My mouth can't stop watering…!! first time here..love your space..excellent recipe collection with gorgeous clicks.. This looks amazingly delicious Nancy, and so colorful and festive! I love this recipe! My favorite zucchini meal is probably in a bread form with cheese, egg and flour..it is just fantastic combination! I might serve this as a side dish with my vegan tacos. Yum! found this recipe on Tasteologie and I was SHOCKED at how delicious it truly was..and so SIMPLE! My only alteration was adding sour cream at the end. Hi Kelly, I’m so glad to hear it:) Yes sometimes the easiest or simplest things are the best tasting.